Why do newer hams fail to become truly active? Plans for a field day in 27-28 Janurary 2018 are forming. The idea is to give our snow bird members an opportunity to operate at our shack and to fine tune our setup and stations from the learnings of FD2017. 'When all else fails' interview of Jeff.S K4BH by WLRN's Peter Haden. When viewing any BRARA pictures such as inventory or club activities that uses the Carousel process, you may now STOP, START, go to PRIOR or NEXT pictures. This was done per suggestion by a BRARA member. This is why we need more input from you: all ideas are welcome and good ideas are implemented. The menu and access to many Member specific pages has been changed. This means Members must logon to see many website pages such as BLOG, Calendars and Meeting documents (Newletters, Minutes, Agendas). Non-members will see a smaller subset of Member menu items. Further, the home page has been reorganized into Member news, Recent news and New Links. Logon, Go to MENU > TOOLS > PROFILE and scroll to bottom and update your biography. Go to MENU > COMM > BLOG and read "2017-2018 Remaining major contest season". Go to MENU > COMM > BLOG and read repeater repair with picures. The Tuesday Night Greater Boca Raton/Delray Beach CERT Nets have returned. The Plan A City Repeater is operational on 470.400 Mhz and the Plan A Net begins at 19:00 ETZ (7:00 PM Local time). If you have a City-Supplied radio that is starting to show excessive wear (antenna falling apart or not working) let Gerry.G KG4FUR know if you are Boca and Ed know if you are Delray. As for Call Signs and IDs, please start using the new ones. We are more interested in re-establishing communication than enforcing radio procedure. That will come as we get more comfortable with the radios. Although the Plan B Amateur Radio Repeater is not operational, we have resumed the Plan B Net at 19:30 ETZ (7:30 PM local time) on the 145.290 MHz Repeater (PL 110.9). 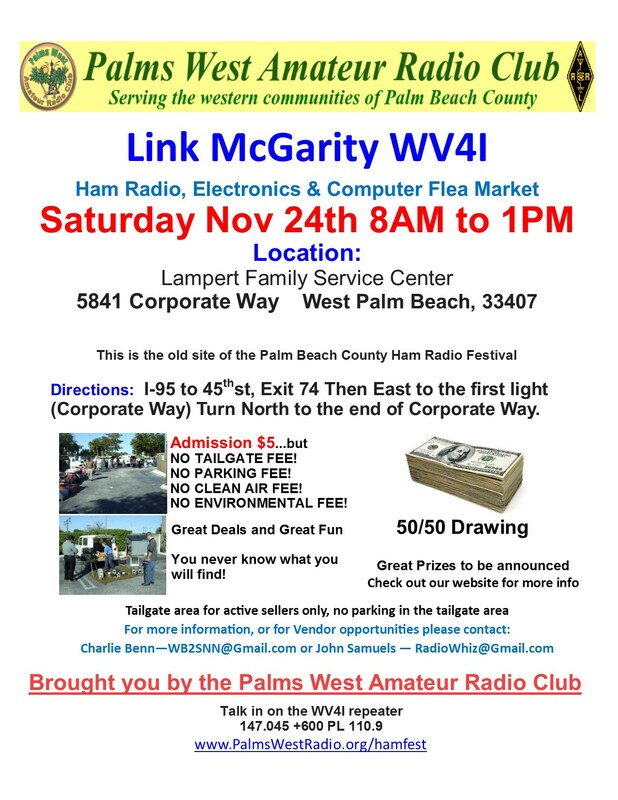 Thanks to the Boca Raton Amateur Radio Association for the use of their 2m repeater. All HAMS, regardless of CERT affiliation or certification, are encouraged to participate. Likewise, we are looking to reacquaint ourselves and not get bogged down in the procedures. We will make mistakes, but that is how we learn. Please be courteous and pause for 3 seconds between transmissions. Remember that only one person can talk at a time. What does trunked radio system mean? What are these guys doing? Subscribe to Newsletter and MORE Please subscribe to receive announcements. Confirming email will be sent enabling communications.